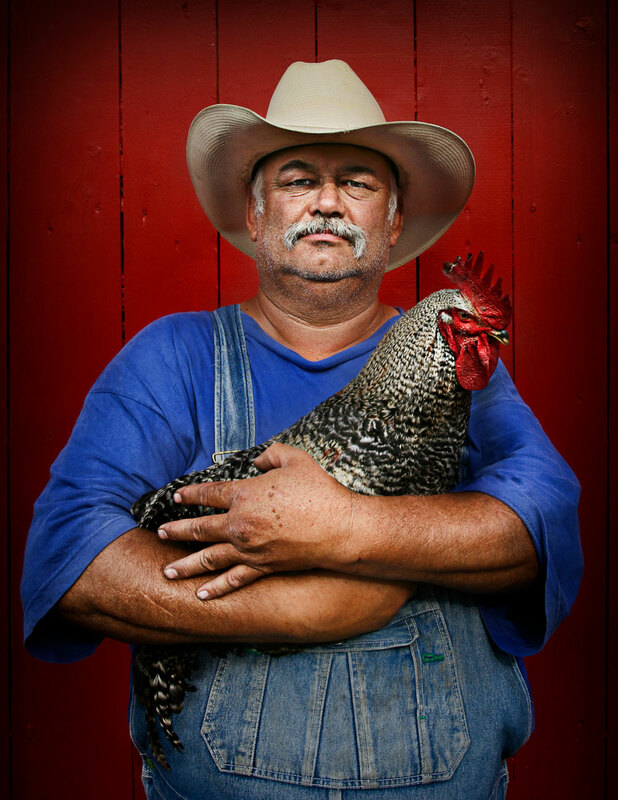 In addition to his corporate, advertising, and editorial work, Mobley has published four books of his photography with Welcome Books: American Farmer (2008), Everyday Heroes (2012), If I Live to Be 100 (2016), and American Firefighter (2017). For all four books, Mobley traveled around the country to meet the subjects in their hometowns and photograph these ordinary citizens leading their extraordinary lives. Mobley has also put together a traveling exhibition of his American Farmer photographs that will tour museums and colleges around the United States until 2022. Whether photographing a celebrity to help promote his or her latest project or a 100-year-old farmer to honor his family’s legacy, Mobley approaches his work the same way. His goal is always to capture the soul of the subject and present a compelling, heartfelt portrait that will instantly make you stop and think, I need to know more about this person. Mobley’s combination of contagious enthusiasm and impeccable skill puts subjects at ease no matter what the situation. This leads to powerful, intimate photographs that are authentic, timeless, and uniquely his. Mobley splits his time between New York and Los Angeles and lives with his wife, Suzanne, and their rescued shar-pei, Jessie. They have two daughters, Camden and Paige. In his spare time, he loves traveling, especially in Mexico; sampling tequila; and visiting Michigan to eat his mother’s Italian cooking.